Demon pacts. Alien experiments. Ghostly possessions. Monsters under the bed. Tentacles in the toilet bowl. We may fear the things that go bump in the night, but they also intrigue us. Fascinate us. Even turn us on. Royalty Rates: Book royalties start at 50% of net, regardless of the length of your project. Once you cross a certain sales threshold, royalties increase to 60% of net, and once you cross the final sales threshold, royalties increase to 70% net. 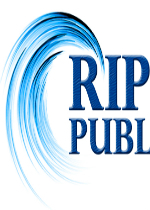 Royalty rates for print-on-demand, traditional offset printing, and various subsidiary rights are a bit more complex, but ultimately designed to split net profits 50/50 between the author and the publisher. All terms are fully detailed in our contract, and we’re happy to answer any questions a prospective author may have. -A query letter containing the title, genre(s), word count, and orientation of your story; a one- to two-paragraph “sales pitch” (like the blurbs you see on the back cover of a book); and a brief history of your publication, if any. -A two- to three-page synopsis of your story from start to finish. Do not leave out the ending! Please paste the query letter directly into your email, and attach the synopsis and manuscript as .rtf files. We have no specific formatting requirements, but please be sensible and remember that if the editor has a hard time reading your submission, he or she simply won’t. The subject line of your email should read: Manuscript Submission: [Call Title].